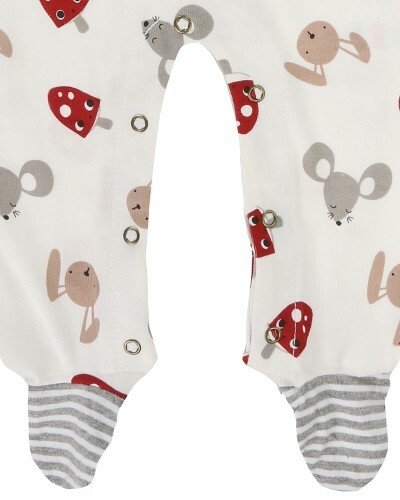 In cute animal and toadstool print, this playsuit, bib and hat set is perfect for any baby boy or girl. Made from premium cotton jersey fabrics, the romper has popper fastenings to legs for easy dressing. The bib is reversible, with stripe to one side and print to reverse to coordinate with the pull on hat. The cuffs have integral scratchmitts making this a lovely new baby gift.